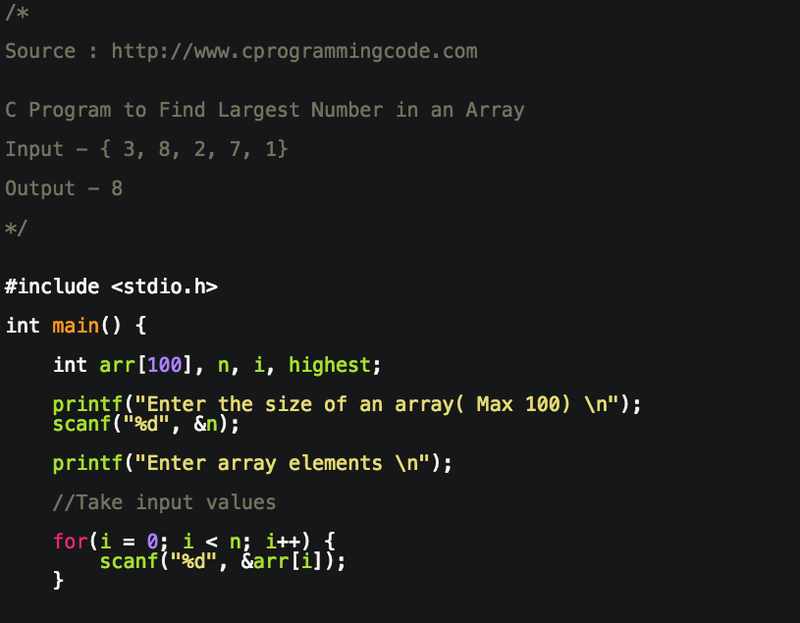 Write a c program to find highest number in an array. 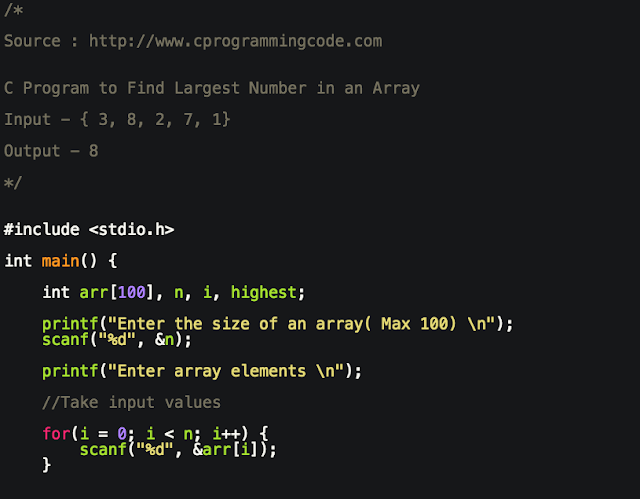 Given an input array, we have to write a code to find highest number in an array. There are multiple approaches we can use to solve this problem. i) Find highest number in an array using sorting algorithm. We can use any sorting algorithm such as Bubble sort, Selection sort, Insertion sort, Quick sort, Merge sort etc. to sort an array. After sorting an array element at n-1 position is highest number in an array. The time complexity of sorting an array is O(nlogn). ii) Traverse an array to find highest number in array. In this approach, first declare a variable highest and assign first element of an array. After that traverse an array, and compare each element of an array with the value of highest. If any element is greater than the highest then assign that value into highest variable. The time complexity is O(n). Let's implement the second approach. In this programming example, we first take an input array from user. Then we traverse an array to find highest number in an array.